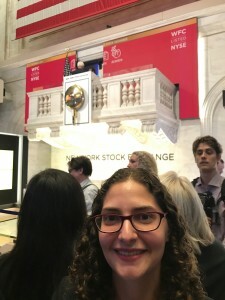 Barrier Free Living attended the closing bell at the NY Stock Exchange on October 3, 2018 as part of National Disability Employment Awareness Month. Cynthia Amodeo (photo above) Barrier Free Living’s Chief Program Officer was on hand at the closing bell. 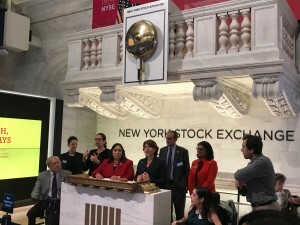 The NYSE welcomed Wells Fargo (NYSE: WFC) to ring The Closing Bell in celebration of National Disability Employment Awareness Month. The agency joined a host of other agency’s and individuals for the event. Barrier Free Living provides services and support to survivors of domestic violence with disabilities in our shelters and programs. Learn more about Barrier Free Living.